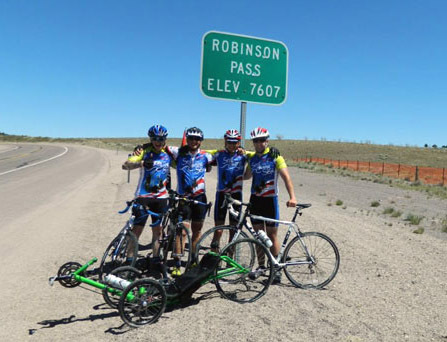 From May 28-July 28, a group of wounded warriors from America’s military is riding bicycles, hand cycles, and recumbent cycles from the Pacific to the Atlantic following much of the Lincoln Highway. For more than 20 years, the non-profit World T.E.A.M. Sports has organized athletic events for disabled and able bodied citizens, from mountain climbing to white water rafting. This year, 18 athletes are biking 3,698 miles from San Francisco to Virginia Beach.